The name of this putter should tell you all you need to know about its design. 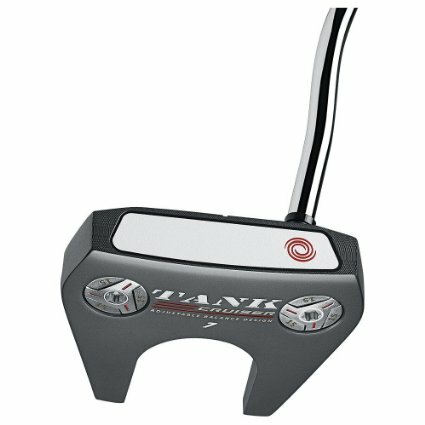 What would you expect from a putter named the Tank Cruiser? You would expect it to be big – and you would be right. This review is for the 2-Ball model of the Tank Cruiser, which is a mallet putter that features the classic 2-Ball design which has been so successful over the years. If you have owned previous 2-Ball models and enjoyed the alignment benefits they offered, you will likely love this Tank Cruiser model right from the start. So why would you opt for this version instead of the traditional 2-Ball? Simple – counterbalancing. Counterbalanced putters – putters that have some weight above the level of your hands to balance out the stroke – are becoming the latest and greatest technology in the game today. The Tank Cruiser putters have adjustable counterbalanced technology which should allow you to make a smoother stroke while achieving a great roll. There are two standard lengths for this putter, 35’’ and 38’’, so you should be able to locate one that is a comfortable fit for you on the greens. A counterbalanced putter, especially one with a mallet head design, is a great idea for a player who has struggled with the yips. If your hands tend to be too active during the stroke, this kind of putter just might be the answer. The heavier overall weight of the putter, combined with the size of the mallet head, can make it easy to produce a smooth stroke without the twitching action sometimes experienced in the hands. For players who often struggle to hole out from five feet and in, the Tank Cruiser 2-Ball could be a major stroke saver. 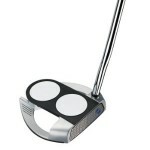 This is an adjustable putter, meaning both the weight of the head and the handle can be adjusted to fit your preferences. This has been a trend lately in ‘full swing’ clubs, but it is now making its way into the short game as well. Adjustability is a great thing to have on your side, especially since you will need to spend around $250 to put this club in your bag. If you have been wanting to try a counterbalanced putter – and you want to do so with a proven club head like the 2-Ball – this version of the Tank Cruiser is a great pick. 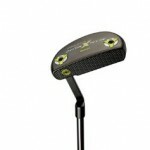 Click here for our list of the best mallet putters.